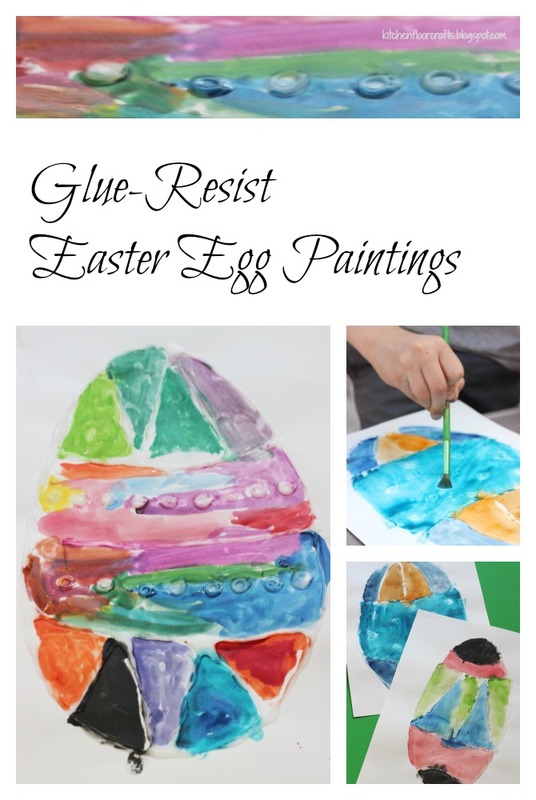 Glue-Resist Painting is something we've enjoyed doing before because it takes minimal materials and is easy to create. So when we were looking for something fun to do to get us in the mood for Easter, we definitely got inspired for trying some glue-resist painting with an Easter theme. What's great about these eggs is they are colorful and done with watercolor, so even little hands can help create them. We've created a similar painting before with our Spider Web Glue-Relief paintings, but this time we were in the mood for a spring project. 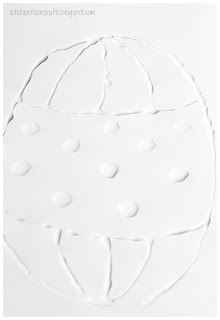 We use white/craft glue for this project, which means our projects take a few days to complete. I have also seen people use hot glue guns for the same effect and less time. We then set the papers aside to dry overnight. The next day the glue had dried in raised, clear lines. 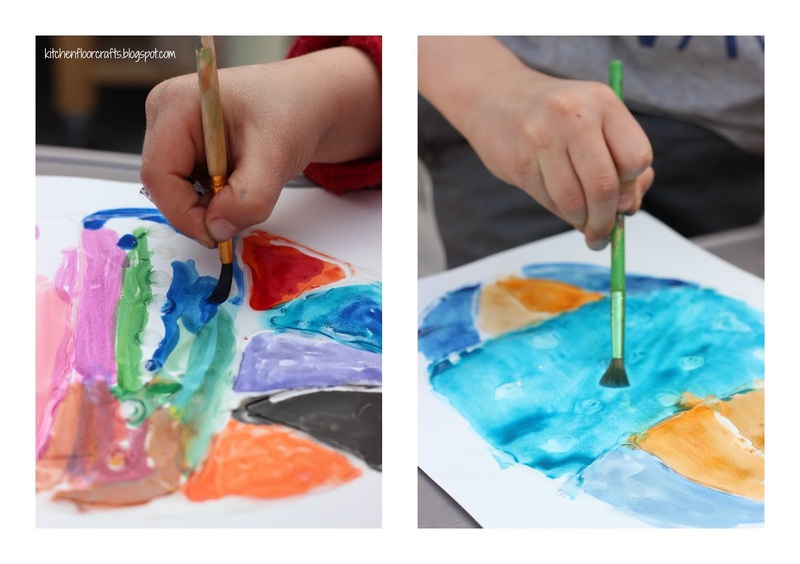 I set the boys up each with a set of watercolors, paintbrushes, and water. 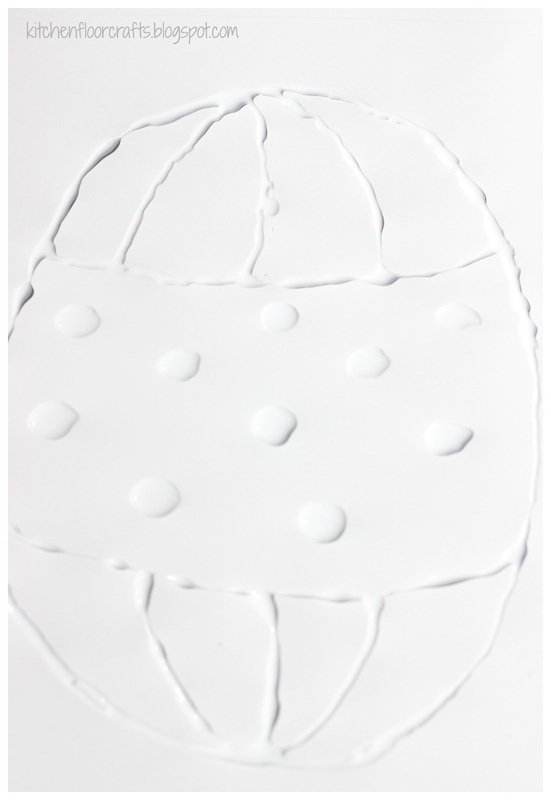 They began to paint in around the lines of their egg designs. The raised part of the glue stood out from the watercolor, so that the line edges still showed through the paint. In several places it even repelled the watercolor paint. 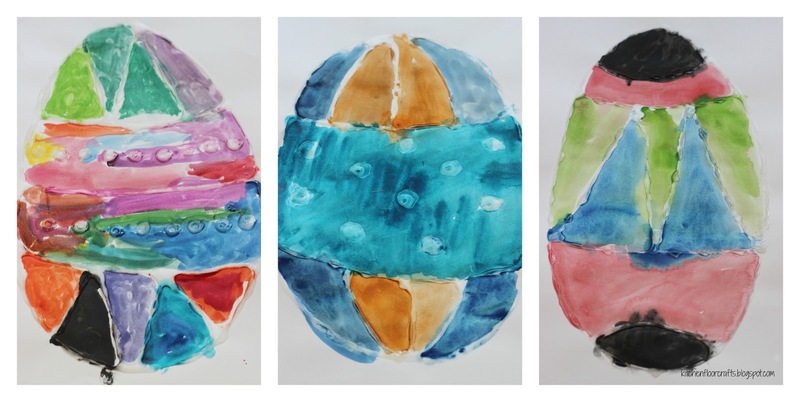 The result was beautiful, colorful Easter egg paintings. We left ours as paintings, but it would also be great to make smaller Easter egg paintings and turn them into Easter cards! 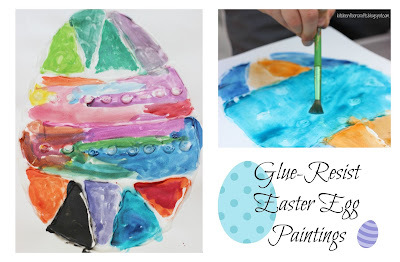 We're looking forward to exploring some other glue resist paintings for other seasons and holidays!